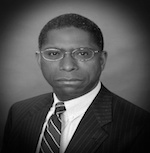 Brooks B. Robinson serves as Director of, and the chief contributor to, BlackEconomics.org. an Internet portal that features information on economic concepts, issues, plans, and policies for U.S; Afrodescendants. He retired from U.S. Government service at the end of 2012. Before retiring, he served five years (2007-2012) as Economic Advisors for the U.S. Pacific Command, US Department of the Navy, in Honolulu, Hawaii. He spent the previous 20 year (1987-2006) with the US Department of Commerce. For eighteen of the 20 years, he was with the Bureau of Economic Analysis, often called the nation’s national accountant, in Washington, DC. He spent the remaining two years (1998-2000) with the US Foreign Commercial Service in New Delhi, India. Robinson obtained a Doctoral and a Master’s Degree from George Mason University in Fairfax, Virginia. He earned a Bachelor’s Degree from the University of Wisconsin in Madison, Wisconsin. All three degrees are in economics.